What to look for when buying a used Subaru BRZ? The Subaru BRZ is a rear-wheel drive sports coupe that features a boxer-style (horizontally opposed) engine. The vehicle was jointly developed by Subaru and Toyota and is manufactured by Subaru for world markets. Toyota-branded vehicles of the same build are the Scion FR-S and Toyota 86. Collectively, they are often referred to as the "Toyobaru" cars. The Subaru BRZ was introduced in 2011 alongside Toyota concepts at the Geneva Motor Show. A production model was then shown in Tokyo later that year with production following for the 2012 model year. BRZ stands for Boxer engine, Rear-wheel drive, Zenith. The production BRZ features a 200 horsepower boxer-style engine that is familiar to most Subaru sports car fans. The engine has Toyota-led enhancements, particularly to its D-4S fuel injection system which uses both direct and port injectors. Tuners have found this to be ideal for upgrades to boost power output, even with the engine's relatively high compression ratio of 12.5:1 at stock. The transmission is a robust six-speed manual with a six-speed automatic as an option. Several limited-production models, which feature body trim and paint color exclusives, have been offered since the BRZ entered the market. The BRZ and its Toyota-branded twins are widely considered some of the best entry-level sports cars available today. The Subaru BRZ has had relatively few complaints from owners, with most problems occurring under vehicle warranty. Outside of its Scion FR-S and Toyota 86/FT86 twins, the BRZ has no direct competitors. Sports car enthusiasts can consider some turbocharged alternatives such as the Ford Focus ST or Golf GTI, but both are likely to have higher price tags and less driving fun than the BRZ gives. What Subaru BRZ model year and mileage can you get for your budget? The Subaru BRZ is the driver's sports car in the Subaru lineup and is the only vehicle the company sells that doesn't come with all-wheel drive. This rear-wheel drive sports car has a lot of panache and fun, but it's not everything to everyone. There are some limits to this little car, but enthusiasts will quickly point out its exceptional potential; which is really the point of the little BRZ. The Subaru BRZ is very similar to the Toyota 86 model, the two being the "Toyobaru twins" designed in conjunction with one another. These cars have Toyota's body design and many interior elements and carry Subaru's engine, transmission, and drivetrain. The greatest differences between them are in the upper trims and special editions, in which the Subaru BRZ is often superior in terms of refinement and gadgetry while the Toyotas are generally lower priced. The 2018 Subaru BRZ adds only a few updates from the previous year, including a new 7-inch infotainment touchscreen with Apple CarPlay and Android Auto as standard in the Limited and special edition tS trims. The BRZ tS is a limited offering of just 500 units, but adds special tuning by Subaru's STI performance arm to improve the suspension, structure, and brakes while adding a carbon fiber aero wing and cosmetic changes. The 2018 Subaru BRZ otherwise stays the same it's been since introduction, offering a fun drive dynamic, snappy looks, and an affordable price. 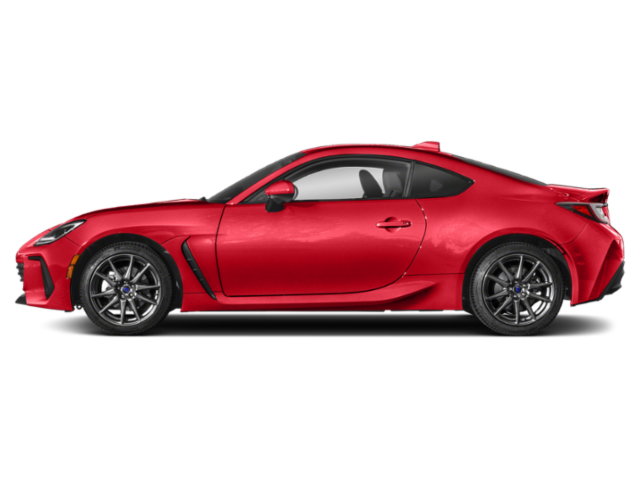 The 2018 BRZ is a 2+2 sport coupe that comes in two trim levels plus the special tS model. The little Subaru BRZ is one of the Toyobaru Twins with its sibling the Toyota 86. It's a small coupe boasting a solid entry-level rear-drive sports car package aimed at driving enthusiasts who don't need the fastest or most expensive bragging rights. The BRZ is notable for its great look, fun drive and readiness for upgrade that make it a car for enthusiasts. This year, the BRZ receives the most extensive update since its introduction in 2013. These updates include a bump in power, some transmission tweaks, styling upgrades and some new standard equipment. A new Performance package is also added, which is a must-have for serious drivers wanting to get track ready quickly. Also much appreciated are the interior upgrades to the 2017 BRZ versus previous years, namely to infotainment and comfort points throughout the cabin. The 2017 Subaru BRZ remains a favorite as a fun little car whose sole focus is driving pleasure and love of the road. There are three trim levels for the 2017 BRZ: Premium, Limited and "Series.Yellow." To summarize the 2015 Subaru BRZ is simple: it's fun times with an affordable price tag. Entry-level sports cars are making a comeback and are no longer the privvy of European makes. The Subaru BRZ is a collaborative design effort with Toyota, who sells near-twins as the Scion FR-S and the Toyota FT-86 both here and abroad. Collectively, the cars are often referred to as the "Toyobaru twins." Like most back-to-basics entry-level sports cars, the 2015 BRZ focuses on the driving experience rather than power output. Unlike many who have made this claim, though, the BRZ actually delivers with a fun-filled and dynamic driving experience that few can match. The road comes through to the driver very well in this car and handling is superbly tuned. In the manual shift transmission, the shift throw and clutch are tight and fast, making for a very sporty drive experience despite the lack of engine power relative to other sports cars on the market. So although the 2015 BRZ probably won't win many races on the drag strip, it will always thrill on the open road and twisty highway and makes even a dull commute into a "wake up and drive" experience.